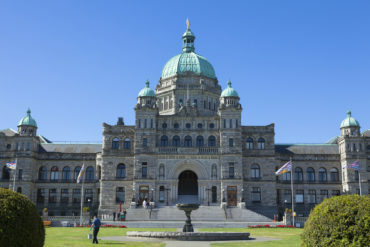 VICTORIA – British Columbia’s attorney general says the financial situation with the province’s public auto insurance agency is critical and getting worse. A total loosing proposition…B.C. needs to open up the insurance market to private insurance companies and do away with Government Insurance. A free-market always better serves it’s constituents! Blaming claims is smoke and mirrors. The real problem is the skyrocketing salaries they pay to executives and overstaffing. They say they are short front line staff but that is ridiculous. There are over 5000 highly paid employees with ICBC. That is why they are going broke. A private insurer could offer coverage to all BC residents with probably under 500 employees. Do you think the private insurers have 5000 employees in their auto coverage departments in Ontario or even the entire country? How come they can insure an entire province with much higher population than BC with a fraction of the number of employees?